Get the strongest and most flexible protection, to your website. An SSL (Security Socket Layer) Certificate can be used to protect sensitive information such as transaction passwords, user logins that are shared over the Internet and hence, maintain privacy. 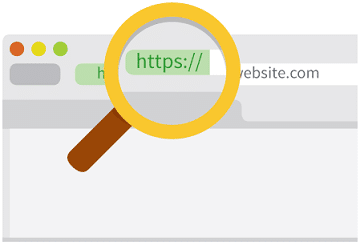 An SSL Certificate activates the HTTPS protocol and enables secure connections from a web server to a web user, when installed on a web server. A digital certificate is provided to individuals and organizations by the Certificate Authority only after verifying their identity. The users can get assurance that their browser is communicating with the legitimate owners of the web site, just like they intended to, by the means of this certificate. In this way the domain name, server name and the identity of the organization is bind by a HTTPS secured website. It’s important to have an SSL if your website contains privileged as well as private information. This is because; there are numerous security threats that can result in a user’s personal data being stolen in modern times. The belief that you will keep their information confidential and safe encourages the users to trust you with it. An SSL certificate is the best way to protect from identity theft. Also, the users may refuse to do business with websites you do not have an SSL Certificate.